We went through a standardized set of variables for each dentist and dental practice examined. You can see the information we looked for here. 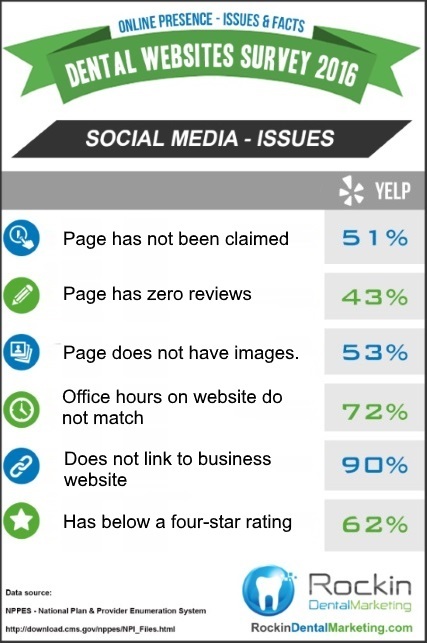 Yelp pages are statistically the least likely social media page to be linked to a business website by dentists. This could be because, of the practices that even have Yelp pages, only about half of them are verified. A high percentage of pages are also completely missing reviews, which of course loses the purpose of the site. A Yelp page is one of the easiest and most beneficial web marketing and SEO tools to maintain. Simply by encouraging your patients to write a review on your Yelp page — and making it easy for them by linking it to your website — you’ll be building your online presence with almost no effort on your part. Refer to our reputation management services for more information on managing your Yelp reviews. Take the step to link your Yelp page to your site, or to create a Yelp profile if you haven’t already. You’ll be improving your search engine visibility and drawing in new patients in no time. And be sure to claim your page so that clients know it is legitimate. Yelp is often where potential clients will go first to find out what people think of a business. And if they like what they see, they may look to the business hours to call for more information or to make an appointment. So, it is absolutely vital that your Yelp account has accurate business information, such as business hours, address and website URL. 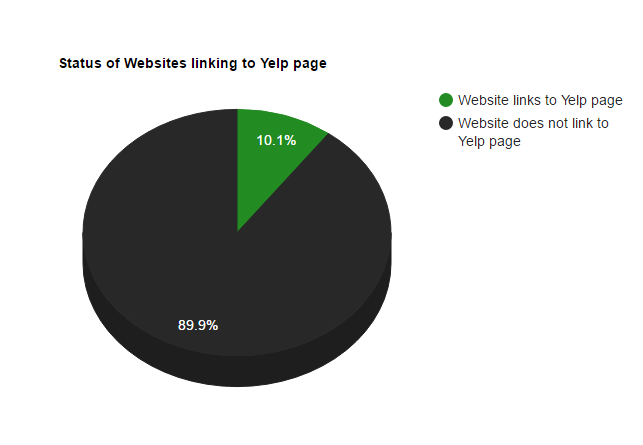 90% of dental websites do not have links to their Yelp page. 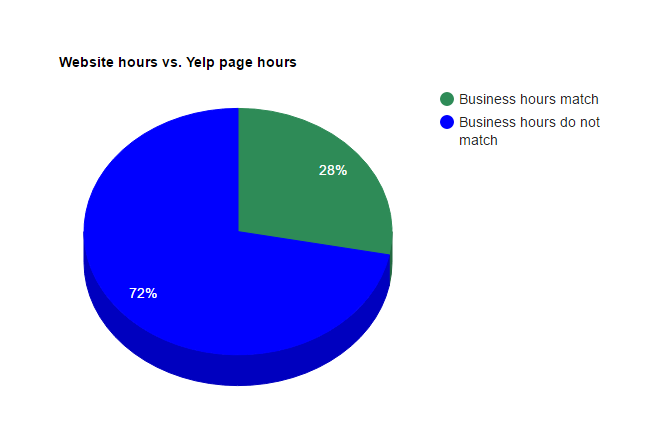 72% of dental website business hours do not match Yelp page business hours. 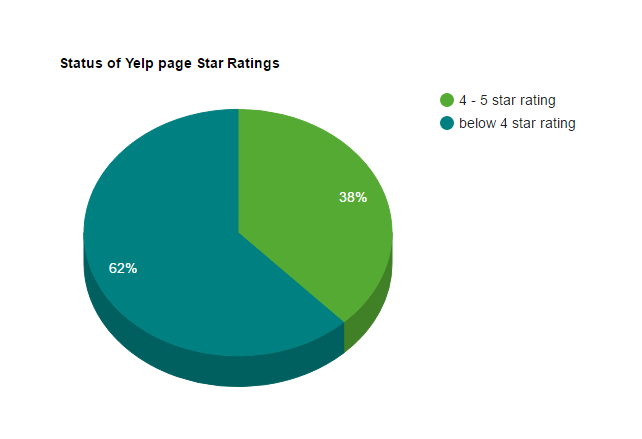 62% of dental Yelp pages have less than a four star rating. 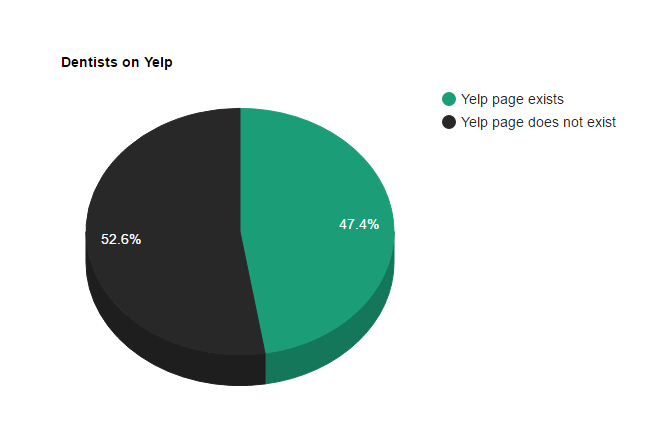 53% of dental offices do not have Yelp pages. 49% of dental Yelp pages have not been claimed. 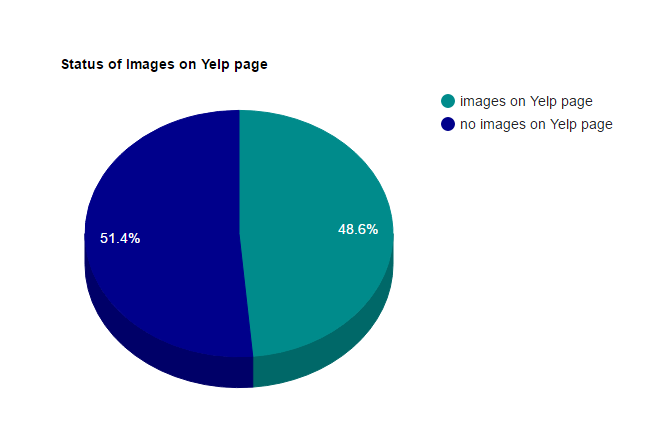 51% of dental Yelp pages do not have images. Find out more about social media and other marketing platforms through our page on SEO for dentists. You can also return to our dental web marketing survey for more results.